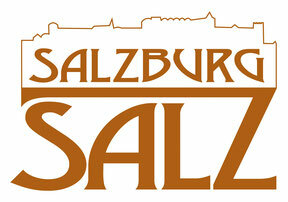 The salt production in the State of Salzburg experienced the first time of prosperity in the age of the Celts between the 5th and 6th century b.c. Later the rulers of Salzburg, the prince-archbishops, established their power on the mining and the trade with the white gold. We feel obliged to carry on with the tradition and provide our costumers with a broad range of natural and healthy products around the salt. Treat yourself with with some fine salt and pay us a visit! Salt ist the most precious gem of all gemstones. 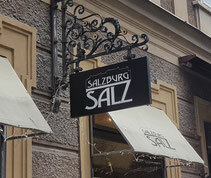 Since 2007, Salzburg Salz in the Wiener Philharmonikergasse 3, is a permanent feature of every dignified guided city tour. 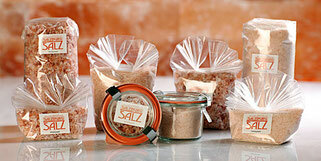 This shop delights trough its captivating atmosphere and with its wide range of austrian and international salt. You can also find a selected range of special cosmetic products (et al different bathsalts and scrubs) and witty present ideas (et al salt bricks for cooking, tealights and lamps) made of salt.